Goulburn Argyle Garden Club Inc.
We created this website so members and intending new members, and other garden clubs have current information and contact details for the Goulburn Argyle Garden Club and its activities. This is the City of Goulburn rose. 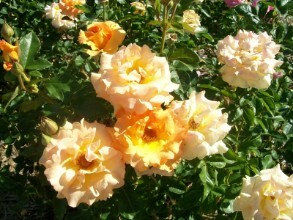 Goulburn hosts the Rose Festival each year on the 2nd weekend in March.